People often ask me at what age I started playing, which was at the age of 9. After two years I started really being interested in the sport and I started playing tournaments. There are many reason why golf became such an important part in my life very fast and made me drop all other hobbies. First of all it was time to spend with my parents outside away from my school and their work. Until today it’s a passion we share and we enjoy each other’s company on the golf course very much. Golf also teaches young people social skills; almost every round of golf you can be paired with a stranger and have to spend 4 to 5 hours together. In addition, from the very beginning golf taught me an ethical behavior more than any other sport I know; respecting my opponents in competition and even forming close friendships, being honest about my score and penalty strokes, as well as being disciplined at practice, and showing gratitude for the people that support you. Once a player starts competing, golf also teaches time management, budgeting and organizational skills to plan the tournament trips. During competitions a young player also has to learn to believe in her-/himself. Without self-confidence it is almost impossible to transfer the learned skills from the driving range onto the course during a competition. I’m a big fan of Junior Camps, because the young players can compete and learn with their friends who are in or around the same age group. 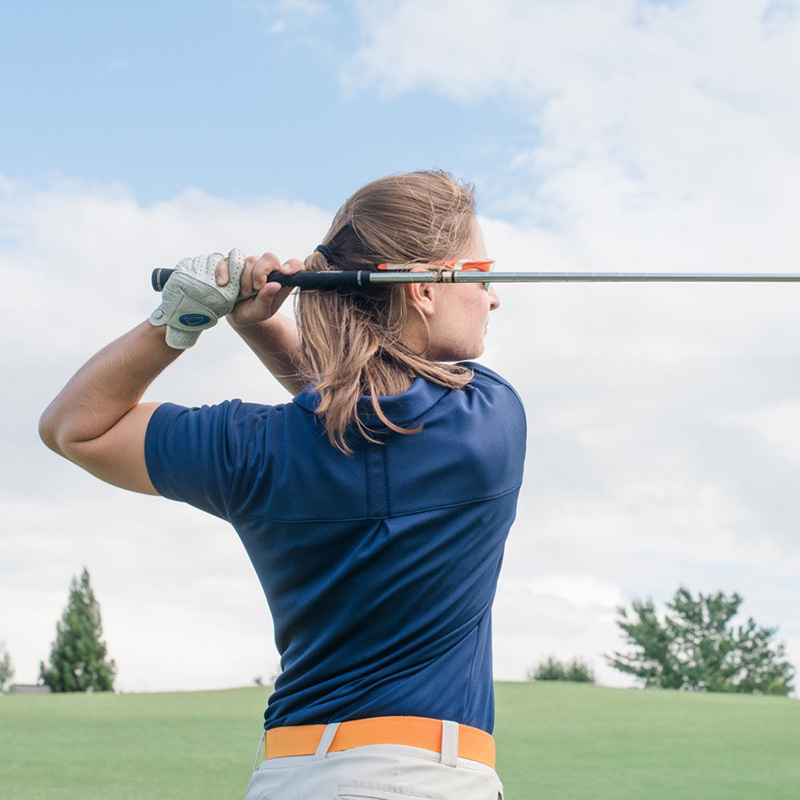 Golf Clubs are most of the time composed of a wide range of age groups. This sometimes makes it difficult for young players who see the game from a different perspective than older players. They want to have fun and also need an instructor who can teach them a good technique. Any sport is more fun for the player when he/she is successful. In a Junior Camp young players can learn with others at the same skill level and form friendships. Even though golf is an individual sport, a round of golf and range practice is so much more enjoyable when you can share it with a friend and playing partner who you can compete with and have fun with at the same time. I’m playing golf for 15 years and it has given me more than I could have ever imagined. Highs and lows, friendships and travels all over the world. This sport never stops to challenge the player every day.